There was a king named Jayamal. Jayamal had intense faith in Lord Krishna. He never missed a single day spending in devotion and rituals performed through love towards his deity Shyamsundar (Black beauty). 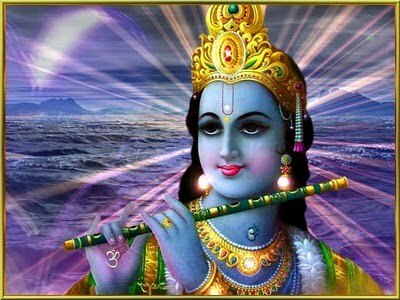 He worshiped Lord Krishna as Shyamsunder. Although a king, with many duties towards the kingdom and the people of his kingdom. His faith was great. He spent the time in devotion and worship from early morning till midday. He would not leave the sacred shrine, where he spent the time in devotion, even if it meant losing his kingdom and all the wealth. There are always people taking the devotion towards God as a weakness. So knowing that the king spends half the earlier day in devotion, a neighboring king decided to attack his kingdom in the early hours of the day and capture it the easy way. It was an easy meal for him. Thus, one early morning, an attack was made on king Jayamal's kingdom. All with the bright hopes of acquiring a new kingdom. The soldier's of Jayamal had no other option but to watch the enemy soldiers surround the kingdom with ease. They could not fight without their king's order. The news of the arrival of the enemy troops reached the mother of King Jayamal. She rushed to the king and asked him to take immediate steps. To go and fight the battle. Jayamal the devotee was unperturbed. Bursting with faith he said , "Why should I worry if Shyamsunder decided to take back the kingdom He gave me?". "On the other hand if He does not want the kingdom to be loosed, nothing on the earth can take it away." Outside the temple, Shyamsunder took the horse of the king from the stable. Riding the horse and fully armed, He single handed attacked the enemy troops. There was no way the enemies could compete the blue warrior. Except the leader all were reduced to corpses. Shyamsunder after doing what had to be done, rode back to the temple where the king used to pray, tied the horse to the tree and vanished. The king after the worship came out. He was a little down on leaving the temple, he thought Shyamsunder must have decided that he should no longer hold the kingdom. He sees his horse panting with heavy breath, tied under the tree, right outside the temple. "Who has been riding my horse and brought it here?" he demanded. "How can anybody even think of sitting on my cherished horse leave aside riding him?" None of the officers of the king had the answer. They were all unaware of what had happened. Nevertheless the king in the pensive mood rode his horse and galloped along with the little army towards the battle field. There was no time for any investigation. On reaching the battlefield he saw the entire enemy troop, but the leader, dead.The leader, the sole survivor, felt at his feet. He said, "I am so sorry to attack you, sir." "You have a warrior no one on earth can defeat." "Please tell me a little more about your blue warrior, your friend." "He has cast a spell on my heart and soul." The king realized that it was Shyamsunder who rode his horse and cleared the enemies army. The enemy king realized it too and worshiped and begged Jaymal for acquiring the grace of his God. The attraction of wealth and kingdom was no more in his system. With Jayamals blessings he too received the grace of Shyamsunder, the chitchor, the divine Krishna.